﻿ Sign up. Create Your Account. We Protect Your Digital Products! 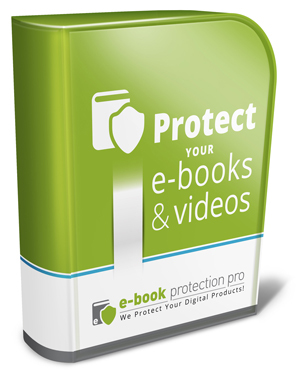 Order the "E-Book Protection Pro" infoproduct protection program NOW, to ensure the safety of your digital products! From now on, complete protection of digital contents from illegal uploads and moneyback guarantee abuses is available to everyone, with "E-Book Protection Pro". ✓We wanted the software to be available every person who wants to protect their products from illegal uploads. We did not want to ask for an unreal sum for this program. So we decided to use a subscription system, and "E-Book Protection Pro" only costs 7$ a month. This subscription guarantees that our subscribers get a quality product. We always aim to provide the fastest and most reliable service to our customers from our servers, and to continuously update "E-Book Protection Pro" for the rapidly changing and evolving operating systems. Of course, these updates will be absolutely free to our customers. ✓After payment, you can immediately download "E-Book Protection Pro" and instantly create you first, completely protected infoproduct. Do not lose a dollar for having your products illegally uploaded and copied! You can effectively be defended from abuses of the moneyback guarantee. The price of "E-Book Protection Pro" vastly returns after protecting one infoproduct. ✓There are no hidden and other costs. The protection software enables creating any number of electronic products and you can generate any unlimited number of passwords, there are NO limitations! ✓We offer a 60-days, 100% moneyback guarantee for the product with no questions asked! You are not risking anything! Use "E-Book Protection Pro" which is now available to everyone. Your digital contents will thus be completely protected from illegal uploads! If you do not want Your infoproducts to be regularly uploaded to the internet, then order "E-Book Protection Pro" now! Click on "Order now" to Proceed With the Order! Your initial charge will be $7. You will then be charged $7/month after your initial charge has been made.